The Nederlander Organization announced casting for DIRTY DANCING - The Classic Story On Stage. An unprecedented live experience, Dirty Dancing explodes with heart-pounding music played live by an eight piece onstage band, passionate romance and sensational dancing. Seen by millions across the globe, this timeless love story features the hit songs "Hungry Eyes," "Hey Baby," "Do You Love Me?" and the heart-stopping "(I've Had) The Time Of My Life." London's Sunday Express says "This crowd-pleasing stage adaptation hits the jackpot!" DIRTY DANCING features Gillian Abbot as "Frances 'Baby' Houseman," Christopher Tierney as "Johnny Castle," Doug Carpenter as "Billy Kostecki," Jerome Hermann-Hardeman as "Tito Suarez," Ryan Jesse as "Neil Kellerman," Gary Lynch as "Max Kellerman," Scott McCreary as "Robbie Gould," Herman Petras as "Mr. Schumacher," Alex Scolari as "Lisa Houseman," Margot White as "Marjorie Houseman," Mark Elliot Wilson as "Dr. Jake Houseman" and Jenny Winton as "Penny Johnson." DIRTY DANCING will also feature John Antony, Rachel Marie Bell, Danielle Diniz, Jon Drake, Josh Drake, Rashaan James II, Joshua Keith, Kevin Mylrea, Katelyn Prominski, Amy Quanbeck, Alana Randall, Sean Rozanski, Adrienne Walker, and Devan Watring. The North American tour of DIRTY DANCING - The Classic Story On Stage is produced by Amber Jacobsen, NETworks Presentations LLC, Grove Entertainment and Col Joye in association with Lionsgate (NYSE: LGF), the premier next generation global content leader, and Magic Hour Productions. 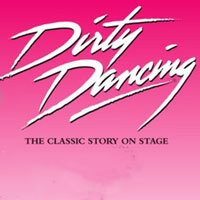 DIRTY DANCING - The Classic Story On Stage began as an eight-week staged workshop in Manhattan in the fall of 2001. It was first performed at the Theatre Royal in Sydney, Australia in November 2004 before embarking upon a hugely successful tour of Australia and New Zealand. A new production opened at the Theater Neue Flora in Hamburg, Germany in March 2006 where it broke records for achieving the highest advance in European history. The production began performances on London's West End in October 2006 with an Â£11 million advance and went on to become the longest running show in the history of the Aldwych Theatre. It closed in July 2011 in advance of a two-year UK national tour and then returned to London for a strictly limited season at the Piccadilly Theatre. The show has gone on to perform across the world in markets as diverse as Utrecht, Holland, Johannesburg and Cape Town, South Africa. Most recently, it has been represented by a new UK tour (which launched March 2014 in Bristol), a German tour (which launched April 2014 in Berlin) and an Italian production (which launched October 2014 in Milan). The show returned to Australia with a new tour that premiered in late 2014 in honor of the stage production's 10th anniversary. The performance schedule for DIRTY DANCING - The Classic Story On Stage is Tuesday through Friday at 8pm, Saturday at 2pm & 8pm, and Sunday at 1pm & 6:30pm. Opening Night is Tuesday, February 2nd, 2016 at 8pm.